Tucker Cianchette wins the judgment against his father and stepmother, Eric and Peggy Cianchette, over a failed buyout of Casco Bay Ford in Yarmouth. Tucker Cianchette has won a nearly $6 million verdict against his father over the failed buyout of a Yarmouth car dealership, exposing a rift in one of Maine’s most prominent business families. Cianchette sued his father and stepmother, Eric and Peggy Cianchette, on a range of charges after the deal went sour. On Thursday, a Cumberland County Superior Court jury ruled unanimously that Eric and Peggy Cianchette breached the contract and committed fraud in proposing to sell Casco Bay Ford to Tucker Cianchette, 38. The jury’s award of damages included $3.1 million for fraud and breach of a business contract and $750,000 for breach of a contract to sell real estate. Also, Eric Cianchette was ordered to pay $1.5 million in punitive damages. Eric Cianchette owns the Portland Regency hotel in the city’s Old Port and was the developer of an office building near the Portland International Jetport that houses offices of the state Department of Health and Human Services. His cousin, Peter Cianchette, ran for governor in 2002 and is a top executive at the family’s construction company, Cianbro. The firm founded in 1949 by the Cianchette family was ranked 103rd on the list of the top 400 contractors in America in 2017 – a ranking based on contracting revenue. 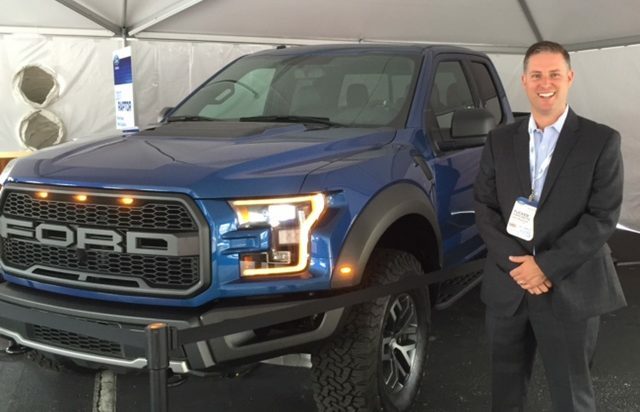 Eric, Peggy and Tucker Cianchette have jointly owned Casco Bay Ford since 2013, and Tucker Cianchette, who held a 33 percent stake, was the general manager. He maintained that a deal, struck in late 2015, to allow him to buy the dealership outright was actually a ruse and part of an effort to force him out, said Tim Norton, an attorney who partnered with Jennifer Archer to represent Tucker Cianchette. Tucker Cianchette still has his stake in the business, but he left the dealership early in 2016. He has since bought a Chevrolet dealership in Waldoboro and is general manager of a Ford dealership in Brunswick. He said the verdict left him feeling vindicated. “My father wanted me to sign over the ownership and go away,” Tucker Cianchette said. The business rift grew out of family divisions, he said. Calls to Eric Cianchette for comment were not returned Monday. Correction: This story was revised at 9:57 a.m., March 5, 2018, to correctly state the relationship between Eric and Peter Cianchette. They are cousins. This story has been updated to include the comment from Eric Cianchette’s lawyers and to remove a reference to the lawyers being on vacation.